300T/H Construction Waste Recycling Plant product aggregate and sand from recycling construction & building materials. Various final product sizes are available with customizing recycling plant system solution. Construction Waste Recycling Plant consists crushing plant such as Jaw crusher, Cone crusher, Classifier, Sand unit, Vib. Screen, Hopper, Vib. Feeder, belt conveyors basically with very complicated system and special items for recycling plant such as Magnetic Separator, Metal Detector and others. Horizontal Impact crusher and Vertical Impact crusher can be replaced or added by Cone crusher according to customer’s requirement. 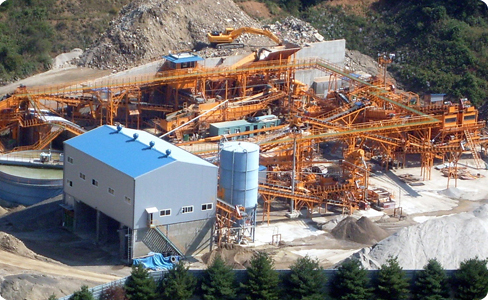 Korea No.1 Crushing Plant Manufacturer, Samyoung Plant offer 300TON/HR RECYCLING PLANT We also can provide and deliver various capacity construction and demolition waste recycling plant according to customers' special requirements. construction and demolition waste recycling plant product aggregate and sand from recycling construction & building materials mainly. Various final product sizes are available with customizing recycling plant system solution.